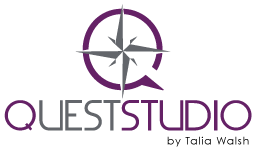 Quest Studio is a place where you can come to have a personalized experience to help you reach your goals. Our specialty fitness classes are taught by certified fitness professionals and are open to all fitness levels. Each of our fitness and nutrition programs are customized to help you reach your goals and within your budget. Take advantage of the many tools and resources available to help you succeed and receive one-on-one coaching, motivation, and inspiration along your journey here at Quest! Looking for off-site, corporate, school, sports teams, or family seminars, workshops or services? We customize programs for that too! Contact us today! Our metabolic testing device measures how many calories your body burns at rest, which allows us to create custom meal plans based on your metabolic rate and your lifestyle to help you reach your health and fitness goals. Designed for individuals who live long distance or who prefer to workout at home, are interested cross-training, or to add to their regimen at Quest Studio and are looking for instruction and motivation with a plan to take your fitness to the next level. One-on-one and group wellness and nutrition coaching sessions are customized to facilitate healthy, sustainable behavior changes by providing you knowledge and challenging you to identify your values, and transform your goals into action. Both one-on-one and on-demand coaching sessions are available. Quest Studio has partnered with Pro Portioned Meal Prep, a weekly meal prepping service that provides healthy, balanced meals that are cooked and delivered. Our menu provides a balance of lean proteins, healthy carbs and veggies, listing the ingredients and nutritional value so you can plan your meals accordingly. One-on-one and small group training sessions are available in person and on-demand for private yoga sessions, personal training, assisted stretching sessions, corrective exercise screenings, health & fitness assessments, wellness & nutrition coaching, private parties and events. We work businesses of all sizes hands-on to design individualized programs to maximize your budget and best address your employees’ nutrition, fitness, and wellness needs. We offer a constantly growing list of seminars and programs and are available to attend health fairs and wellness events throughout the year. We know the importance of keeping our students active throughout the year. Quest offers kids fitness classes and fitcamps, and works specifically with student athlete programming with teams or the individual students. We offer yoga for athletes, injury prevention programs, nutrition and corrective exercise programs.